AP CM N Chandrababu Naidu usually maintains self-control by avoiding unparliamentary and objectionable language while criticising his rivals. This time, he lost his cool and strongly hit back very angrily. CBN called Jagan a ‘dunnapothu’ (he-buffalo) who has no sensitivities to the feelings and needs of the people. Naidu mocked that Jaganmohan Reddy and his MLAs would not come to the Assembly to discuss people’s issues and his MPs would not be present in the Parliament. Naidu’s response came as a retort to Jagan who yesterday said while the people was looking for an ‘anna’ (big brother), CBN came like a ‘dunna’. The TDP leaders became furious at the Opposition leader’s comment. They debated internally on how to counter this foul and cheap language of Jagan. There was also pressure on Naidu to hit back strongly in equal measure. Finally, Naidu gave his strong response at the foundation stone laying ceremony of Machilipatnam port. 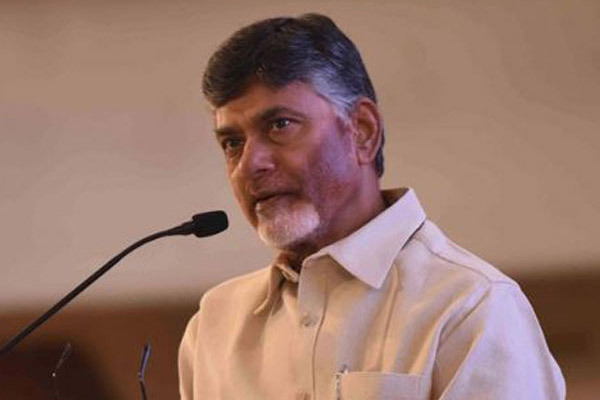 Further criticising the Opposition party, CBN said the YCP leaders are acting badly and going to the court to stop the irrigation projects by way of creating legal hurdles. He called upon the AP voters not to give deposits to YCP MLA candidates in the coming election as no state should have such an irresponsible opposition party. Why KCR not campaigning for Federal Front in other states? TDP and YSRCP worried about Janasena silent voting?